So! How do you pick five bingo sites from a list of UK online bingo sites that now stands at 436? I know what I like as I have been playing a long time. How do my favourite sites stack up as good places to play for some of the online bingo novices that the industry is so keen to attract? The operators have a difficult task. They really want the younger generation to get involved with online bingo and the bingo slots associated with them. On the other hand, the older generation – those now in their 50s and early 60s are very tech savvy in the main. This means they too can be very valuable members as they have more disposable income in many cases at this stage of their lives. The offers, the look and quality of a site (and its mobile counterpart), the terms and conditions, the rewards, the prizes and promotions and the customer service can all play a part in attracting and keeping you as a player. Here are my five picks of the best sites around. If someone is new to bingo isn’t it nice to try a site completely risk free and to play a few games with a no deposit freeplay bonus with no strings attached. While there are a lot of no deposit bonuses around, very few can say they have no strings attached. Costa Bingo, however, doesn’t put major obstacles in the way of newbies having fun with their free bonus and making a withdrawal if they are lucky enough to win. A £5 no deposit bonus is paid just for including a payment card at the time of registration. You can play bingo with this bonus and if you win you can withdraw up to £100 with no wagering* requirements attached. You just have to make a deposit of at least £5 prior to a first withdrawal being permitted, but you then just add that £5 to your withdrawal request. If you want to make a deposit, the 300% welcome bonus is paid automatically on deposit and only available on £5 or £10 first deposits, so you don’t have to break the bank to get into all the rooms (as some only give access to funded players). You also know that if you become a regular player you are not up against a whole possé of new players maxing out in the games with huge wads of bonus money while you are playing with real cash. This is one of the few remaining Dragonfish sites that allows winnings from your bingo bonus to go to your cash balance and then for you to forfeit bonus to withdraw, subject to site minimum levels. This is a big plus for the site in my view. There is also a free bingo room just for first time depositers. This is another chance to try the site with very little outlay required. Dragonfish is the customer facing bingo platform of gaming industry giant 888. This software dominates about 25% of the total number of bingo sites out there right now. Many of those are carbon copies of each other, but the lobbies can be a bit confusing for a novice. 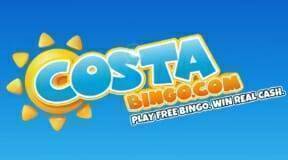 Costa Bingo takes the basic Dragonfish software platform for the 90 ball and 75 ball bingo games and gives it their own unique spin. The lobby is clear and simple and the games are very reasonably priced – even for the big money games. Any of the big promotions run by the site – and there are many each year – get their own tab in the lobby to make them easy to find. Jackpotjoy was one of the first online bingo sites I ever joined and it is a testament to its ethos over evolution that I still play there regularly. The site has a basic welcome offer that very rarely changes. You join and make a first deposit of £10 or more and you automatically get a 250% bonus on top. First deposits up to £100 qualify for this bonus and as it can be spent on slots or bingo that is a lot of fun right there. One thing to bear in mind as a newbie is that there is a 4x bonus wagering requirement. That is not so bad, especially as spending on bingo means that 100% of your stake goes towards wagering. However, should you opt to play slots with your bonus only 10% of your stake counts for wagering. So a £10 spend on slots makes only £1 towards your wagering requirement. Jackpotjoy operates on Gamesys software. This platform also develops its own slots and instant games and you will only find them on this and other Gamesys sites. You will not find them on any other bingo, slots or casino site. They tend to be nicely themed and simple to play with some good bonus rounds. Neither are you overwhelmed by having to choose between hundreds of different slots and games. You will find 90 ball and 75 ball bingo here and a couple of their own variations on the theme. Most rooms have a progressive jackpot that mounts up quickly, but the ball count to win it is not set so high that they are impossible to achieve. In fact many are won every couple of days or so. The site was slow to come to mobile, but the mobile offering is improving all the time and is quite enjoyable to play. There is nothing complicated about it at all and it is well worth a look. 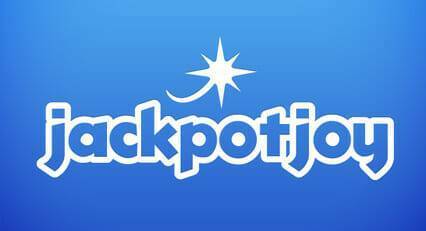 You don’t get any bonuses on your re-deposits at Jackpotjoy, but this simply means that you don’t have to worry about wagering requirements each time you make a deposit. However, they do issue random bonuses from time to time. The beauty of tombola is that you won’t find anything else like it in the UK online bingo market. It is totally unique – in more ways than one. The first deposit welcome offer is wager free – which is always a good thing in my opinion. It’s an automatic 200% bonus and is paid on first deposits from £10 up to £25, which means you get from £20 to £50 in bonus to play with. Any winnings from this bonus is yours to withdraw subject to a £10 minimum – no wagering. It really is that simple. There are no bells and whistles here. That means no reward points, no VIP scheme – just lots of chances to win a decent prize across a whole range of different bingo and bingo-style games. In all there are 16 different pay to play games, plus a free weekly SMS game for those that have spent at least £2 the week before. There are loads of 90 ball bingo rooms due to the large numbers that love their bingo the more traditional way, but you will also find 80 ball, 75 ball, 50 ball, 40 ball, 60 ball bingo and much more. There is a bingo version of roulette and a fun game called Hamster Race – which sees cartoon hamsters racing along a track and you set your stake against which one you think will be the winner – simple but effective. The promotions page is simple and to the point. Each week or so a different game takes centre stage and the simple premise is that the game prizes are enhanced for that promotional period. No hoops to leap through – just turn up, pay your money as usual and take your chances. 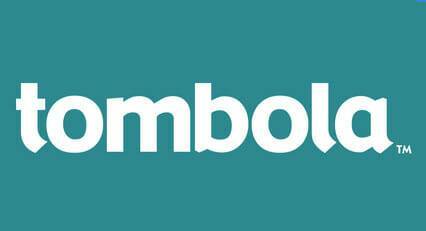 For those that like their social media, tombola has a very active Facebook page. It includes lots of extra competitions and fun giveaways and offers lots of chances to interact with the chat hosts from the site itself. At first glance Gala Bingo is an odd choice to recommend to newbies as it looks very complicated. However, just a couple of minutes scrolling the homepage will show that it is mostly a showcase of bingo and slot games. The sliders on the homepage indicate the welcome offer and the fact there is a free bingo Newbies Room for you to play in and a couple of the biggest promotions. What marks Gala Bingo out from the many of the other sites from Playtech? One of the things is its range of exclusive rooms. They have gone to the time, trouble and expense to licence some top name programmes from itv and have them developed into bingo and slot games. There is Coronation Street Bingo, Emmerdale Bingo, The Chase Bingo – there was even a Saturday Night Takeaway Bingo. Each of these games are 90 ball bingo games, but with a twist – usually an additional bonus or jackpot feature which acts as an incentive to keep playing the game. Look out for the Golden Cobbles game on Coronation Street Bingo! 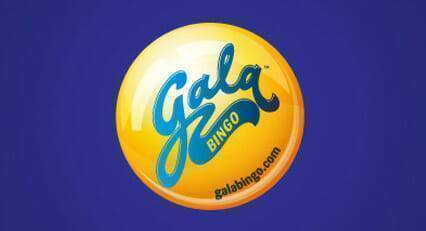 As a newbie being a VIP may seem a long way off, but Gala Bingo wants you to follow that path with them and does nurture regular players. Move up the loyalty ladder for lots of extra games and giveaways. Look out for the features on what the real VIPs get to enjoy and you will strive to get there yourself. What a great way to encourage players to ditch their other sites and play at this single site! 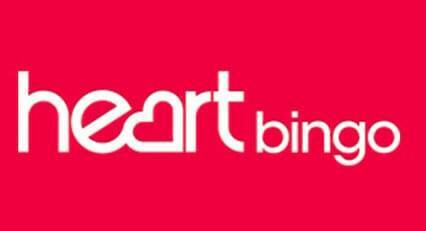 Heart Bingo used to be the poor relation to Jackpotjoy – they both operate on Gamesys software. The bingo rooms were not well populated and the prizes were poor. In mid-2016 this all changed and the site underwent a huge metamorphosis. We got more bingo rooms, more slot games, a very nice mobile site and some excellent promotions. The bonus for new players does tend to fluctuate, but for quite some time has stood at deposit £10 play with £50, which is excellent. Here too the wagering is 4x bonus with bingo spend moving the wagering along at a faster pace than slots play. However, that level of bonus means you can try loads of the games for a small initial consideration of your own cash. These tend to revolve around either just spending a certain amount on slots or bingo games to earn prize draw entries or having to fulfil challenges such as spending a certain amount on a range of specified games in a limited time frame. They tend to be simple and to the point. The site also offers lots of cashback opportunities which is always nice. 90 ball bingo is the main game at Heart Bingo, but you can play 75 ball bingo and these tend to be games linked with other Gamesys sites so you benefit from the bigger pots and bigger progressive jackpots. The site also carries a good selection of slot games from other developers as they moved away from just offering Gamesys developed games. Unusually there is a more diverse range of slot games on the mobile bingo site than on the main site, but this is very attractive to me and a growing number of bingo players of all ages that are accessing their games on the move. What are the top 5 bingo sites? These are the views a single fanatical online bingo player with near on 20 years playing experience. What I have noticed about all these bingo sites is that they have over the years featured on TV with adverts that either show regularly or periodically. Either way, if you have a marketing budget that allows for that TV exposure you want to be sure that the product that people are going to find if and when they respond to your advertising is of a high standard. In the case of these five bingo sites in particular those high standards are guaranteed. Other sites worthy of an honourable mention and that offer some variety for regular players are Sun Bingo, Butlers Bingo, mFortune Bingo and King Jackpot. Give them a visit and you will see what I mean.